When Femke is entrusted with a vital foreign mission for the Emperor, the resourceful young spy assumes it will be a straightforward task. But nothing is simple when your enemies are one step ahead of you. 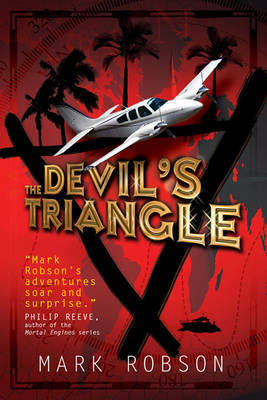 Framed for two murders while visiting the neighbouring King's court, Femke finds herself isolated in a hostile country. As the authorities hunt her down for the murders, her arch-enemy, Shalidar, is closing in for his revenge . . . First in a new series. Mark Robson was born in Essex in 1966 and raised, for the most part, in Camarthen, West Wales. In 1982 he gained a scholarship to join the Royal Air Force as a pilot and has worked for them ever since. He successfully self-published the four book series, The Darkweaver Legacy, the first book of which was largely written during tours of duty in the Falkland Islands. He now lives in Northamptonshire with his family.